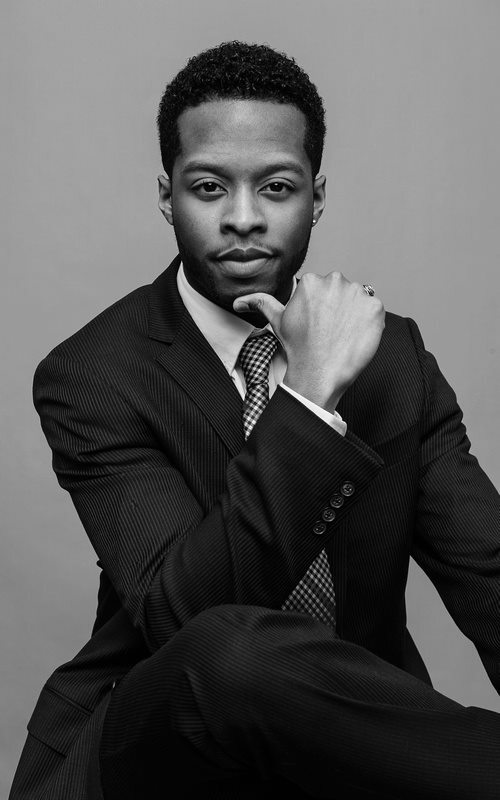 Raised in Charlotte North Carolina, Kendall Ramseur began his musical journey as a pianist at the age of seven, and switched to cello when he turned ten. Kendall received his Bachelor of Music degree from the University of North Carolina School of the Arts (UNCSA). He studied cello under the instruction of Dr. Brooks Whitehouse. Upon graduating UNCSA, Kendall matriculated to Boston University’s College of Fine Arts (BU) where he received his Master’s of Music in Cello Performance with Marc Johnson, member of the Vermeer String Quartet. As a soloist, Mr. Ramseur released his debut album T.I.M.E., in 2013. He was later awarded the Gospel/Inspirational Artist of the Year by the Boston Music Awards. Since then, Kendall has performed his original compositions at over 100 events in Massachusetts and around the country including: ArtsEmerson “The World on Stage”, Cast Party for “Daniel Beaty”, Wheelock’s 2013 Metro Boston Race Amity Celebration, Kendall Square Concert Series and Boston Green Festival. Kendall was a featured panelist on the Boston University Music Symposium, “The Multi- modal Musician: The Success of Adaptability”. Additionally, the Boston Globe recommended him as one of the top artists to see at the 2014 First Night Boston. In May 2017, Ramseur soloed with the Cincinnati Symphony Orchestra where he performed the Vivaldi Double Cello Concerto III Mvmt. Kendall is one-fourth of the nationally-acclaimed and billboard charting quartet, Sons of Serendip who gained fame during Season 9 of NBC’s America’s Got Talent. As a group they average between 40-50 performances a year, traveling both nationally and internationally. Most notably, they have performed with the Boston Symphony Orchestra, the Cincinnati Symphony Orchestra, and the Boston Pops for the July 4th Fireworks Spectacular. Kendall has orchestrated various parts for the group’s performances with the Boston Pops and the Boston Symphony Orchestra. The quartet was also invited to perform at the 2016 Creative Arts Emmy Awards for the In Memoriam segment. In 2017, the group released their third studio album Life + Love. As a member of Sons of Serendip, Ramseur has exercised his ability to arrange, orchestrate, compose and program material for both the group’s performances and albums. Kendall performs on a CR Series Electric Cello, endorsed by NS Design. "I am really honored and excited to be a part of the NS Design family. The craftsmanship put into their instruments is amazing, and I'm excited to be able to add my musical voice to their ensemble of amazing artists." "I chose NS Design because the unique sound and mobility these instruments offer is exceptional. Being a classically trained cellist, I had only known playing the cello while sitting, but as I’ve grown as a recording artist and performer, I found myself desiring more freedom than what the traditional cello could offer in sound and mobility. The NS Design Cello was a perfect match; it can be played sitting, standing, or even while walking around. It gives me a lot more freedom for expression in live shows and in the studio." Kendall Ramseur has been endorsed by NS Design. Kendall Ramseur soloed with the CSO, performing Vivaldi's Double Cello Concerto, Movement 1. Sons of Serendip released their third album titled "Life + Love". For more information click here.